The elephants of Bhutan are confined to the southern plains and foothills, where they inhabit the tall forest. 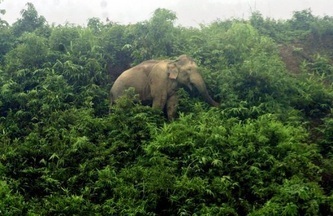 The elephant population moves between India and Bhutan seasonally, spending the winter months in Bhutan. In recent years, they have been spending increased amounts of time in Bhutan, which has become a relative haven against the poaching endemic in Indian Manas. Individuals of various sizes and ages associate in herds, which may vary from five to 30 animals. Fodder is rarely scarce, and therefore, the herds do not generally break up into small pods. 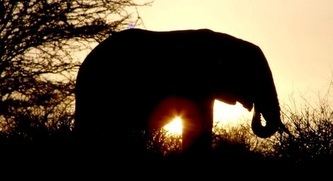 The large tuskers are usually seen feeding at some distance from the main herd. When they reach maturity, the bulls tend to live as solitaries, or two males may associate together. Because the herds are generally undisturbed, the Bhutanese elephants pursue a regular and ordered routine, drinking and feeding in accustomed places and lying up to rest in the usual retreats. The elephant population is Bhutan is largely unmolested and as such remains fairly stable. In fact seasonal elephant visitors have been spending longer in Bhutan as there is a far lesser threat from poaching than on the Indian side of the border. Recently there have been signs that some common environmental threat have been creeping into Bhutan. These include overgrazing, poaching, deforestation nand slash and burn agricultural techniques. However the United Nations Developments Programme, the WWF and the Government of Bhutan are working closely to ensure the maintenance of natural areas to preserve Bhutan’s rich eco diversity, including its elephant population. 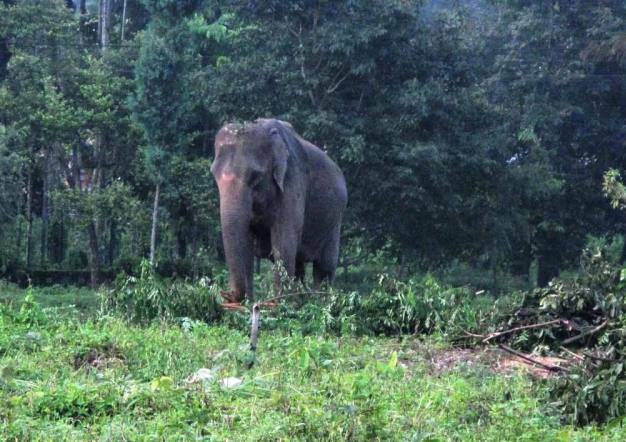 In recent years reports of destruction of crops, property and threat to lives by wild elephants have dramatically increased in the southern districts of Bhutan, bringing many of the rural livelihoods into direct conflict with wildlife. 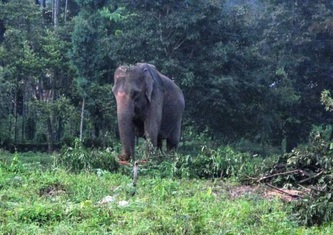 According to the chief forest officer of Sarpang, Shacha Dorji, wild elephants destroyed 132 acres of land in 2007 alone. It is assumed that the blockage of traditional migratory routes by human intervention through rapid industrialization and infrastructure development is the primary cause of rising conflicts. Despite rapid development, Bhutan still offers contiguous habitat and strict law enforcement. This proposed project will be an extension of the some of collaborative initiatives that have already begun by the Royal Government of Bhutan and WWF. Focus will be more on generating information on all aspect of elephants, understanding the extent of elephant-human conflict and building the research capability of NCD.